Analysis: Sudfeld returns to his position as the No. 3 quarterback now that Carson Wentz (knee) is returning to action. Sudfeld isn't likely to suit up or see the field unless both Wentz and Nick Foles go down with injuries in future weeks. 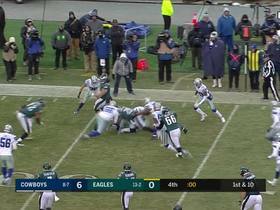 Analysis: While it was a step back from his performance the week prior against New England, the 24-year-old was better than Nick Foles in this one. 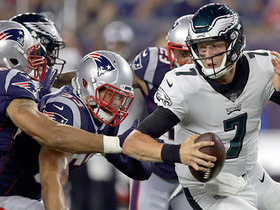 Of course, one game won't change the depth chart, but the fact that Foles was dealing with a shoulder injury coming into the game could mean more security for Sudfeld. Fortunately for the Eagles, it sounds like Carson Wentz is making good progress and looked good in a workout held before the game. 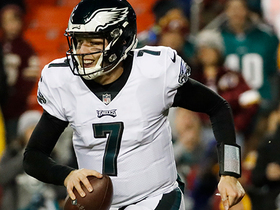 Analysis: Overall, it was a good night for Sudfeld, despite throwing his first interception on the Eagles' initial drive. As the game progressed, the 24-year-old showed a mix of touch and accuracy while under center, throwing a 63-yard touchdown pass to Sheldon Gibson while completing 71.0 percent of his passes on the evening. Despite the solid showing, Sudfeld will need an injury or a Nick Foles trade to become fantasy relevant this season. Sudfeld is positioned for extended playing time in Thursday's preseason game against Pittsburgh, Tim McManus of ESPN.com reports. Analysis: With Carson Wentz (knee) already ruled out and Nick Foles (neck) unlikely to play, the Eagles will be down to Sudfeld and Joe Callahan under center for the exhibition opener. Sudfeld is expected to stick around on the 53-man roster this season as the No. 3 quarterback, while Callahan needs a major injury ahead of him to have a shot at making the team. It's unclear how playing time will be divided between the two quarterbacks. Sudfeld is expected to make the Eagles' final roster as the No. 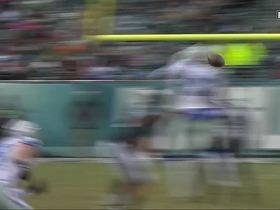 3 quarterback, Eliot Shorr-Parks of NJ.com reports. Analysis: Despite an expectation that starter Carson Wentz (knee) will be ready to go for Week 1 of this season, the Eagles likely will carry three quarterbacks on the active roster in order to maintain depth at the position and protect themselves should Wentz suffer any kind of setback. 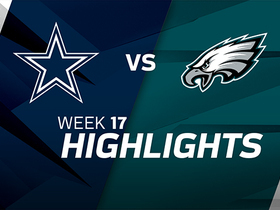 The 24-year-old did appear in one game last season when the Eagles had already locked up home-field advantage for the playoffs, and he was solid in the outing, completing 19 of 23 passes for 134 yards. Sudfeld is expected to make his NFL debut Sunday against the Cowboys, Les Bowen of the Philadelphia Inquirer reports. Analysis: The Eagles, locked in with home-field advantage in the NFC, have little to play for other than staying sharp for the playoffs. Head coach Doug Pederson wants Nick Foles, who's started the last two games after Carson Wentz (knee) suffered a season-ending injury, to start the game and play about one quarter before Sudfeld enters the game. Eagles head coach Doug Pederson hinted Tuesday that Nick Foles would start Week 17 against the Cowboys but also that he would like to get Sudfeld into the game at some point, Martin Frank of The Delaware News Journal reports. 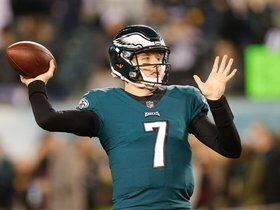 Sudfeld could replace Nick Foles as soon as Week 16, if the Vikings lose to the Packers on Saturday, Jimmy Kempski of PhillyVoice reports. Analysis: The Eagles can clinch home-field advantage throughout the playoffs with either a win or a Minnesota loss. With the Vikings playing Saturday and the Eagles facing the Raiders on Monday, there's some chance Philadelphia won't have anything to play for. 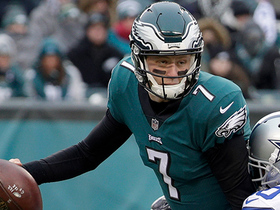 Head coach Doug Pederson said he'd like to see Sudfeld in a game before the playoffs, perhaps hinting that the second-year quarterback could enter as a mid-game replacement even if Foles closes out the regular season as the starter. 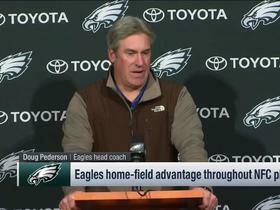 Eagles head coach Doug Pederson said he'd like to get Sudfeld some snaps in a game before the playoffs, Dave Zangaro of NBC Sports Philadelphia reports. Analysis: Philadelphia can clinch the No. 1 seed in the NFC with either one more win or one more Vikings loss. The Eagles may have nothing left to play for as soon as Week 16, as a Packers win over the Vikings on Saturday would render Monday's game against the Raiders meaningless for playoff purposes. Such a scenario might allow Sudfeld to get his first start, or at least his first glimpse of game action. Sudfeld will be the No. 2 quarterback on the depth chart from this point forward, David George of Eagles' official site reports. "I feel very confident," Sudfeld said about running the offense. "I wasn't just sitting back just watching practice all year expecting to never play football. I was definitely getting ready in case something like this happened because that's my responsibility as a three to be ready to be a two because you're one play away and then one more play away." 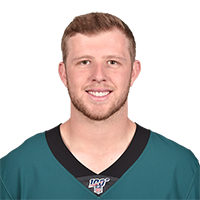 Analysis: Sunday's game against the Giants will be the first time Sudfeld is active for the Eagles this season after being promoted to the active roster on Nov. 1. Sudfeld previously played for the Redskins but was released prior to the start of the regular season. He'll now be next man up behind new starter Nick Foles. 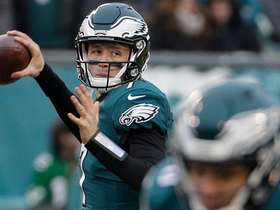 Sudfeld was promoted to the Eagles' active roster Wednesday. Analysis: The Eagles would apparently feel more comfortable with some added depth at the quarterback position. With star quarterback Carson Wentz and Nick Foles ahead of him in the depth chart, it would take a catastrophe to get Sudfeld on the game field.